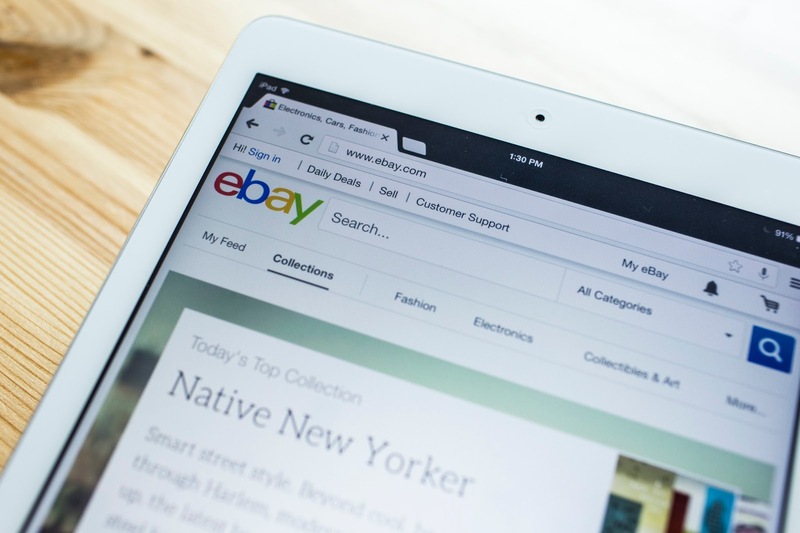 Sell More Items on eBay with These 6 Proven Tips! I've been an eBay seller off and on for over 20 years. I even had a store at one point, but due to my freelance career, 6 kids, homeschool, and other obligations, my reselling had to take a backseat to many other things. But I still hold my eBay account in high regard. I protect it so that, if I ever do have something to sell, I can with the best possible outcome. With such a crowded market, it can be hard to make an impact in your finances by selling on eBay. Most common items have hundreds of competing sellers. Some are wholesale buyers and resellers who can afford to sell items for much less than you or I can. And that leaves eBay to be a tricky play to sell things that you are most likely to come across and want to remarket. But it is possible to sell on eBay with great success! In fact, over the last few months, I have been pleased to try selling again and can sell more items on eBay than I used to. I credit my success to the following tips. 1. Use lots of photos. Many of the sellers on eBay have gotten lazy. They think they can snap a pic with a smart phone in poor lighting and rely on the description to get the sale. That means that, if you invest just a little time in taking photos of all angles of the item, photos that show size (by putting a quarter or tape measure next to the item), and photos that show any imperfections, you can raise your trust factor and sell more items on eBay. You may be given the option to use a perfect stock photo for something like a book or a DVD. Avoid these, if possible and grab your DSLR or really good smart phone and take a GOOD picture. Make sure the lighting is right. Edit it outside of the eBay picture editor, using something like PicMonkey to auto-adjust the color and the exposure. While this isn't Etsy (which relies so much on staging and props to sell via pictures), your effort will pay off. I hate the idea of having anything I sell come back to me. Once something is sold, you just want to count your money, pay a bill, and celebrate. But not having a solid return policy can be the single thing that makes a buyer got to someone else. In 20 years of selling on eBay, I have never had anything returned. By being honest in my descriptions, and working to resolve problems (even offering a partial refund, if necessary), I have kept my returns to zero. You should have a policy in place that protects you. I recommend returns only within 14 days of purchase, only is the item is not as described by seller, and with the buyer paying return postage. Make it possible to return something, but not so easy that they try to do it for any reason. Be fair about it. I haven't had many people take me up on this offer, but it's important to have it. It only makes sense that, if a buyer makes many purchases from you, and you CAN ship them out in one box, you do. If you don't offer discounted shipping, you are essentially telling them to shop around for the best offer. The difference in shipping may be enough to get them to make that 2nd and 3rd purchase through you and not someone else. And that's how you sell more items on eBay. I'll be honest. Best Offers irritate me. They usually do not get any legitimate offers, and cheapskates and arbitrageurs use them to try to get stuff at way below value to resell. I had listed a lot of 3 brand new homeschool books that were worth $75 for sale, and I included Best Offer as an option. I repeatedly had the same buyer try to offer me $20 for me. It was insulting and a waste of my time. Since you can filter Best Offers to only notify you if the amount is, say, 80% of your asking price, it can be a time saver and help you move things you aren't determined to get top dollar for. I eventually did accept a Best Offer on those books, but only after they sat and were relisted 3 times. By then, I was happy to take an offer of $50 for the books. Use your judgement and never discount the ability for buyers to dictate the market. Only they know what they are willing to pay for an item. But use this feature with caution. I love eBay Seller promotions. I'm not talking about free listings or fixed price discounts. (While those are nice, they are always running in some form, and the savings it negligible.) I love the ability to save even more than those offers (which I do use, by the way.) I'm talking about special offers that usually occur during holidays. For instance, right now eBay is doing their Season of Selling Prize Dash. This allows sellers to earn points for various activities (including selling in popular categories) to redeem for eBay gift cards. Valid now through the end of the year, I've already earned quite a few points that I can use for my future eBay purchases! There have been other promotions like this for sellers where you can earn coupons and gift cards just for doing what you would be doing, anyway. Be sure to sign up for Seller communications via email so that you're notified when they take place! Here's a nifty infographic that sums up our advice. Feel free to share it with others -- and congrats on taking the first steps to more eBay sales this year!